The new Public Zone is open for everyone interested in exploring a LOHAS – Lifestyle of Health & Sustainability adventure in Hong Kong this year. 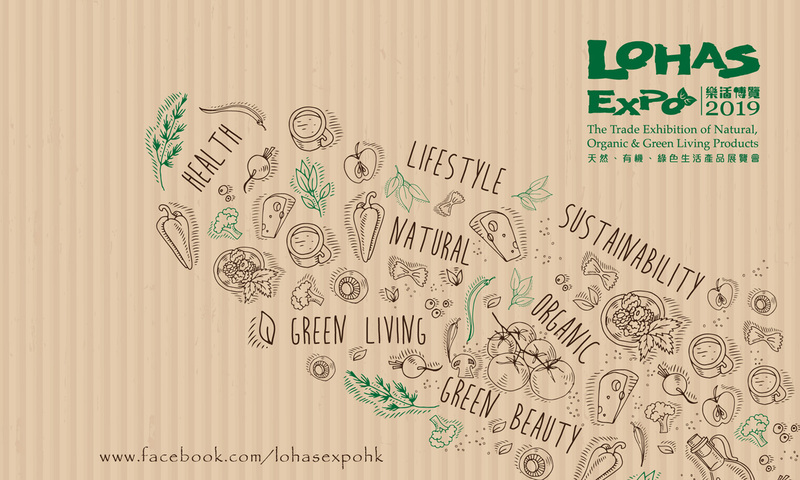 LOHAS Expo, with Vegetarian Food Asia, is the leading trade expo promoting organic, health and green living products in Hong Kong since 2012. The event attracts a diverse array of well-known enterprises and brands from around the world, including China, Taiwan, Korea, Japan, Australia, Philippines, France and USA with workshops and celebrity chefs to experience a healthy life. People throughout Asia and around the world are looking closer at the impact we have on our environment and on society and safety issues are driving demand for more clean, healthy sustainable food products. 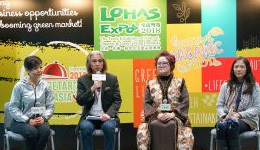 LOHAS Expo, Asia’s leading trade platform for natural, organic and green lifestyle products, will showcase more than 1,500 new products from 200 international exhibitors from United States, Canada, European countries, Japan, Korea and South-East Asia countries. Register for free as a trade visitor and mark your calendar for this renowned industry event. 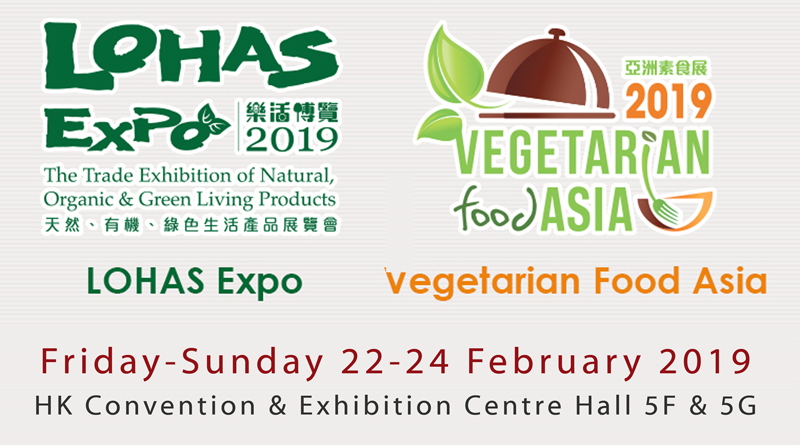 The 8th edition LOHAS Expo and the 5th edition of Vegetarian Food Asia will be held February 22-24 at the Hong Kong Convention and Exhibition Centre (Halls 5F & G). This is a regional sourcing platform for trade, visitors and consumers with over 200 exhibitors and 20,000 trade buyers expected from around the region. 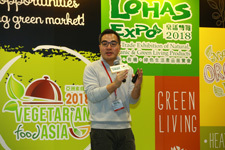 Get practical tips from global industry leaders and experts to grow business at the LOHAS Forum and meet master chefs at the Vegetarian Kitchen with cooking tips. Last year, the event attracted more than 10,000 visitors over 3 days to meet over 200 exhibiting companies. 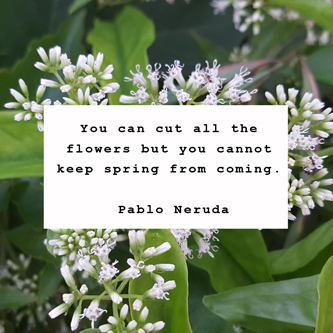 Visit the fairs to find out more. 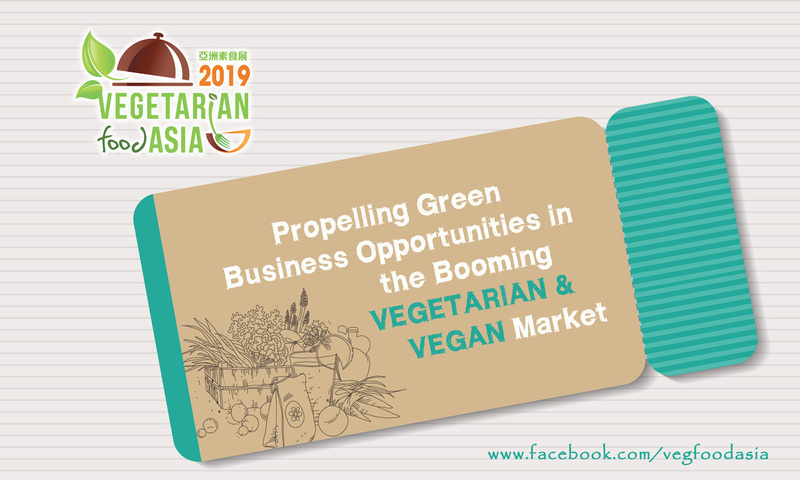 Together, LOHAS Expo 2019 & Vegetarian Food Asia 2019 offer an ideal platform for anyone who is interested in unlocking business potential of the LOHAS market. Together, the events are a regional platform for trade, visitors and consumers with 200 exhibitors and 12,000 trade buyers expected from around the region. The market of organic food is growing. Figures show that around 96.8% of fresh food that Hong Kong consumes is imported from mainland China and overseas and only a small amount of domestic production supports major market suppliers. Food sustainability and animal welfare concerns feed demand from the expatriate market. Supermarket, hotels and restaurants provide an effective channel to introduce organic goods into the market. The best of natural and organic products are all in LOHAS Expo. Check out the winners – they may be your next best-sellers.